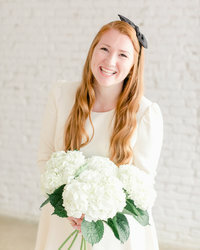 Any day that I have a bridal session booked with one of my sweet HM brides is going to be a good day. There is something so special and sweet about the whole shebang. Getting all gussied up, your hair and make up done (hopefully all whilst sipping champagne, hello), and then getting buttoned up in your dream wedding dress. Only this time, your (lovely) alterations lady won’t be poking you and prodding you under florescent lights. You’ll be at a venue, holding a bouquet, getting psyched!!! For a lot of our brides, they’re asking “What even goes on during a bridal session? ?” I don’t blame them for thinking the whole things sounds awkward… But, if you’re wondering the same thing yourself – hear me out. There are three main benefits that a future Mrs. such as yourself have yet to consider! When you wake up on your wedding day, your mind will be racing with your timeline as all the important moments run through your head. Imagine going into that crazy whirlwind of a day knowing that you have one thing already checked off from that list! What a relief! You can rest easy knowing we’ve already captured every little detail of your dress and how stunning you look in it! Of course I still like to grab a handful of getting ready shots (putting on your earrings, getting your shoes on, etc. ), but it’s so nice to not feel rushed or worry we’ll run out of time! It’s imperative that you get beautiful portraits of you in this dress you’ve been waiting forever to put on! Anytime I can get you in front of my camera before the big day, I’ll take it! 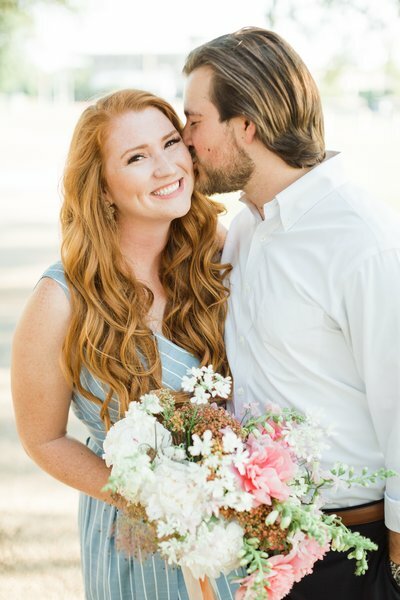 This is one of the reasons we love engagement sessions, but bridals are just one more opportunity! The more comfortable you are with me and my process, the easier your wedding day will go. Not only that but, honestly, I think it’s just as if not more important to have a trial run in your dress before you have to wear it for 8-12 hours!!! It’s one more chance to figure out how to get it on (while your timeline quickly slips past you!! Eek! ), how to walk in it without tripping, and how to sit! Often times I’m discovering right alongside my sweet brides whether or not they can sit in that thing! Usually we’ll have at least a month between the bridals and the wedding day, so if there are any dire last minute alterations that you need to take care of, you still have time! I am a big proponent of playing the #bridecard when necessary. Your wedding is a huge milestone moment in your life, full of love, anticipation, worry, commitment, excitement, I could go on and on. For the same reasons we revel in the short time you get to be fiancés, I think your moment as a Bride deserves just as much attention! When are you ever going to wear that dress again?? Don’t you think you should actually wear it more than once? Take your bridal moment and celebrate it for all that it is!! During your bridal session is also a perfect time to reflect on this season of your life. While I’m being your biggest cheerleader (and reminding you how your groom is going to drop to the floor when he sees how gorgeous you are!!!) is a good time to do this. Paying gratitude in your mind towards all your loved ones who have helped you in the months leading up to your wedding (or, paying gratitude out loud to your mama if she comes along!) Your wedding day will come and go, but you’ll be so grateful for these moments leading up to it.